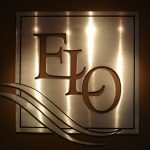 ELO Prof LLC is an accounting firm with locations in Mitchell, Chamberlain, Huron, Miller, and Sioux Falls South Dakota. Aside from tax, auditing, and accounting services, they also provide management advisory services and accounting software support for various accounting packages. Work For ELO Prof LLC? Claim This Page.